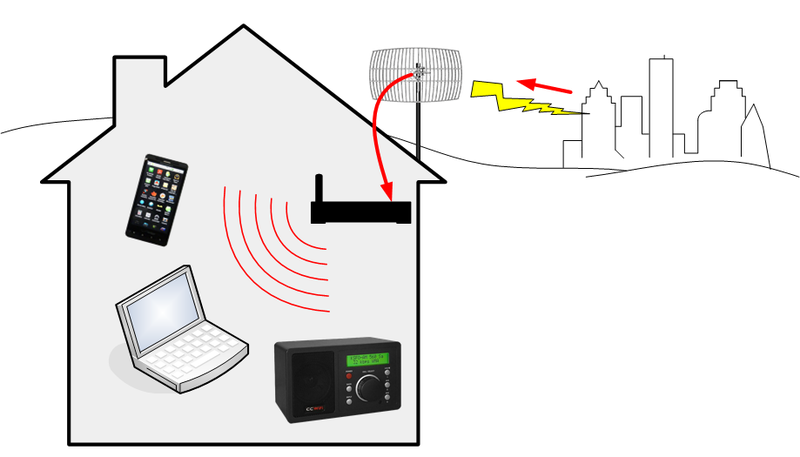 Receive miscellaneous long-range WiFi and distribute it throughout your home? *WiFi router not included, but can be bought from your local electronic store if you don't already have one. You will need to know the exact network name (SSID) and wireless password (Wireless Encryption Key) that you wish to connect to. For example: "Linksys" or "NetGear". We can configure a bridge device to receive this network for you. Once you have the antenna mounted and kit plugged in, it should begin to work. Plug the supplied ethernet cable into your computer or WiFi router, and you're done. If later on you have the desire to connect to a different network then we can walk you through the process over the phone or you can follow the included directions. It is best to have perfect line of site to the network without obstructions or at least be able to pull in 1-bar of signal at your location using a laptop. 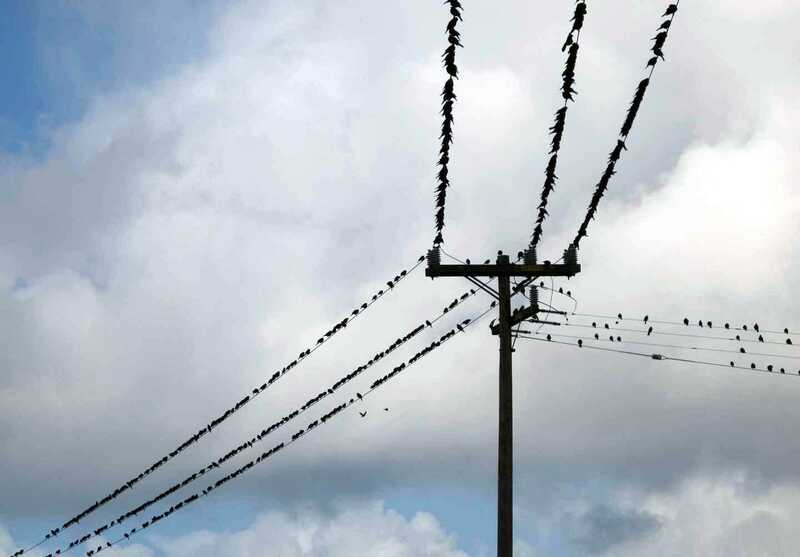 You should get 400-500% better WiFi reception with our system if it is outside and up high. This is where we would recommend that you mount the antenna. Realistically, you should be able to receive a WiFi signal from an indoor hotspot at a range of two to three city blocks away (if there are no obstructions). If the public hotspot is mounted outside (and there are no obstructions) then you may be able to receive this hotspot from up to 1-mile away. Here is a list of items included with kit. The cost of the system is $199.99 before shipping (and tax if in California) and plus the antenna cost. There is a one-year warranty for this system. Please call C. Crane's Customer Service Team at (800) 522-8863 to learn more about this custom system or visit our website at https://www.ccrane.com/stationtorouter. Additionally, you will need an outdoor WiFi antenna. The antenna connects directly to the Bridge device. Each of these antennas offers different reception strengths and coverage depending on your needs. Directional antennas will cover more distance but the angle of coverage will not be as great as an omni directional antenna. Create a near perfect WiFi connection between two locations over a mile away. Increase your laptop's WiFi reception. Extend your internet signal to any room in your house. Pocket size portable WiFi hotspot that will work almost anywhere for laptop or other device. Listen to Internet radio without a computer in almost any location. Off the grid WiFi Reception. Update: We have a New System that works similar to the one above with less complication. It is called the CC Vector Home Long Range WiFi Extender / Repeater System.